Romik® warrants its products to be free from defects in material and workmanship. NOTE: In order to upgrade to limited lifetime warranty on selected Romik® products you must first register your products on our website. PRODUCT REGISTRATION using the serial number included with your products. This warranty is not transferable and it supersedes all previous warranties. NOTE warranty on discontinued products will be pro-rated according to date of purchase and price paid. Customer will be offered a replacement of equal or lesser value or pro-rated credits towards the purchase of a new Romik® product. This warranty covers the cost of the product only; it does NOT cover the cost of removal, installation or shipping. This warranty is void if the product shows any signs of misuse, alteration; mishandling, neglect, improper care, improper installation or application. This warranty only applies to new products installed on the original vehicle. This warranty provides a one-time replacement on workmanship if all the above conditions are met. Warranty cannot be determined until returned products are inspected by the Romik® Returns department. Romik® reserves the right to repair, and or replace defective products. SPECIAL NOTE: Romik® offers a onetime replacement for plastic endcaps on RAL, RAL-T, RB2, ROF-T, ROF-C, RCV series. Finish Warranty covers flaking, cracking or peeling. Customer is responsible for proper maintenance as described below. Romik® recommends washing your products regularly with car wash soap and water. You must also protect the finish of your Romik® product with a non-abrasive carnauba wax. 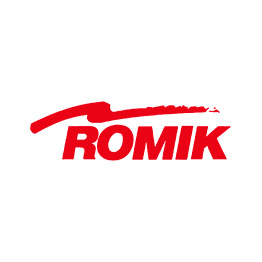 Please see the video on how to properly care of your Romik® products. Do not use compounds or harsh chemicals.